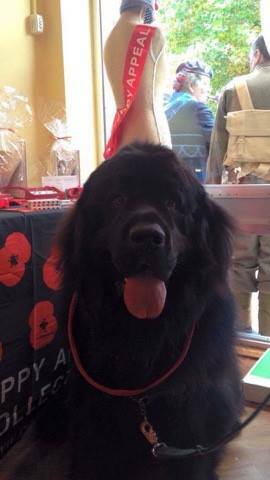 Bear on parade for Poppy Appeal | Atkins & Co. 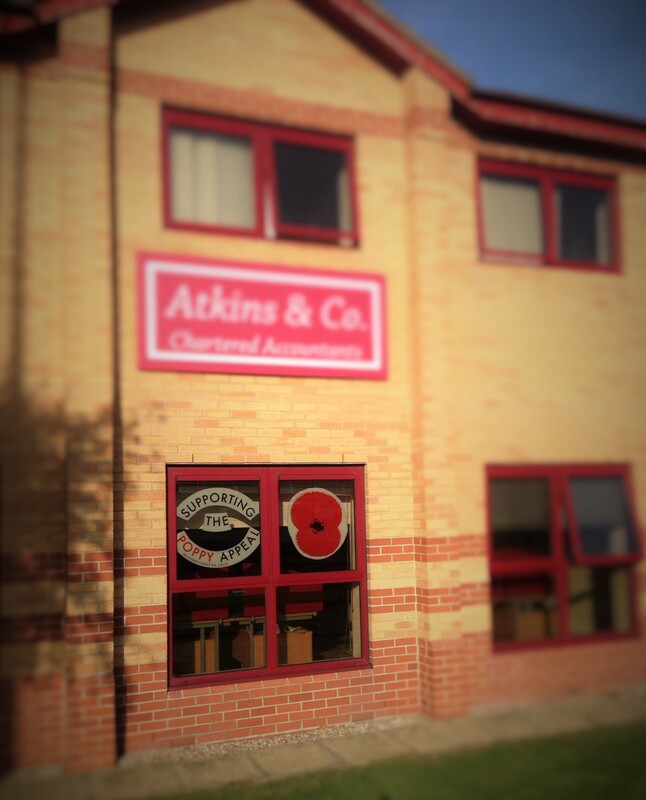 This year Atkins & Co were proud to support the Royal British Legion Poppy Appeal with, local coordinator for our area, Lyn Lovell. 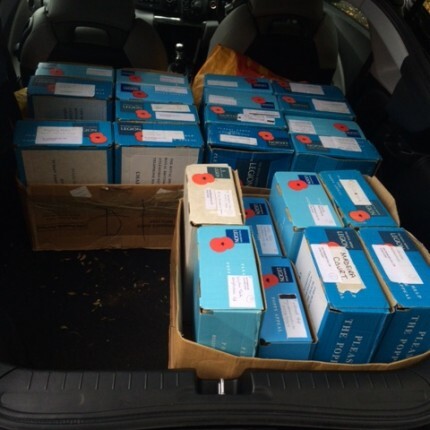 As part of our volunteering we spent a morning delivering Appeal boxes to local business’, shops and pubs including the local RNLI shop to name a few. 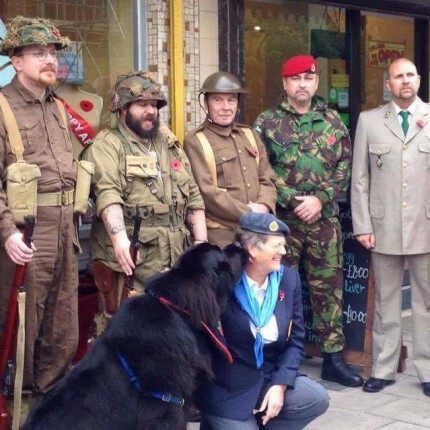 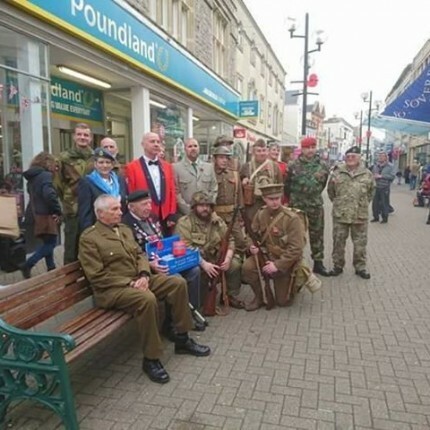 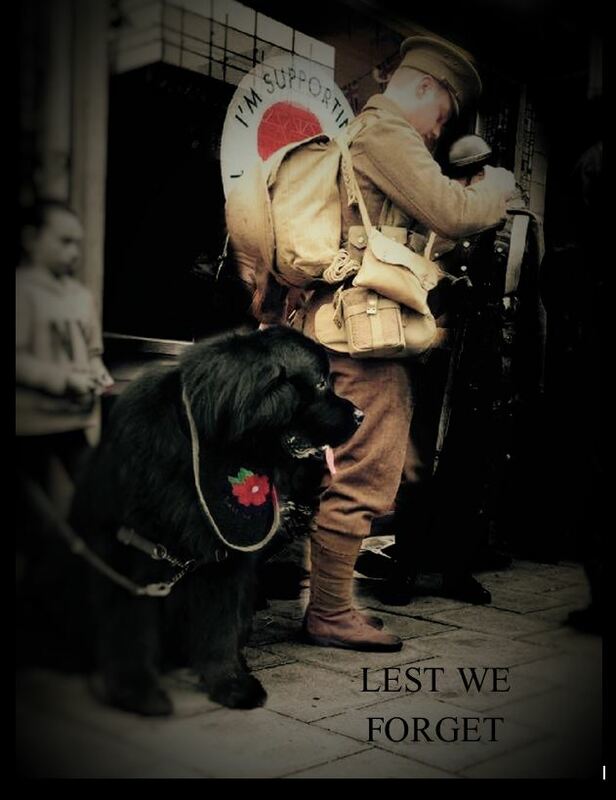 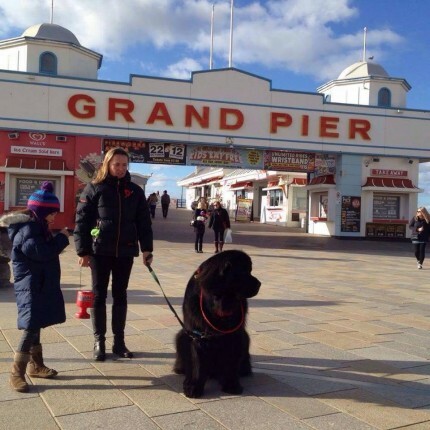 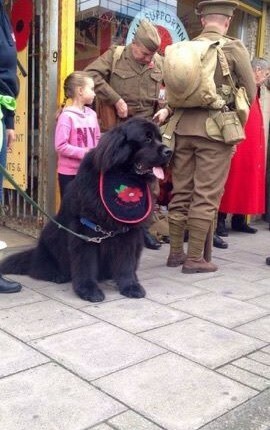 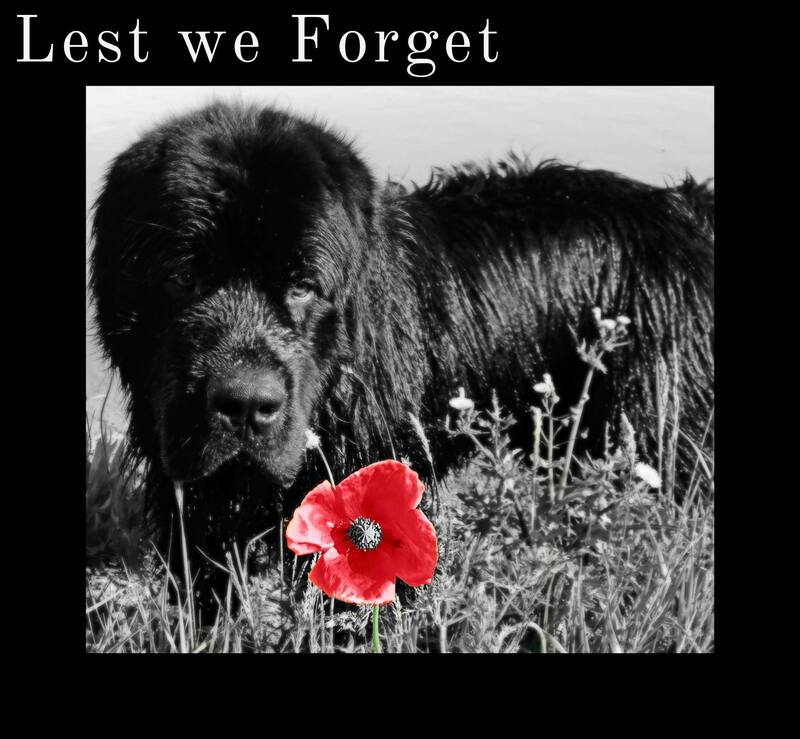 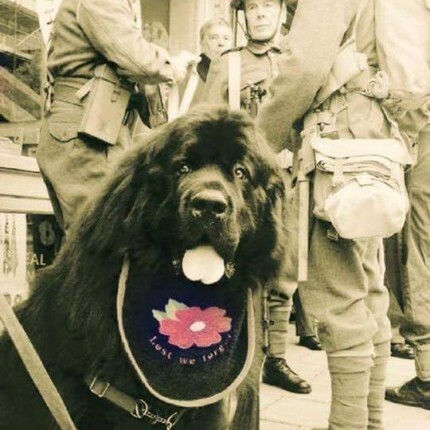 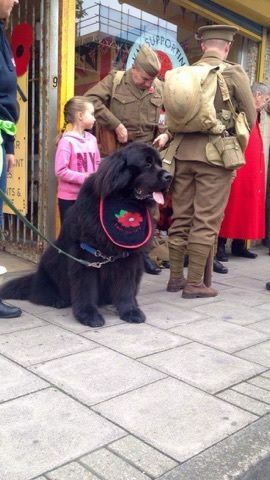 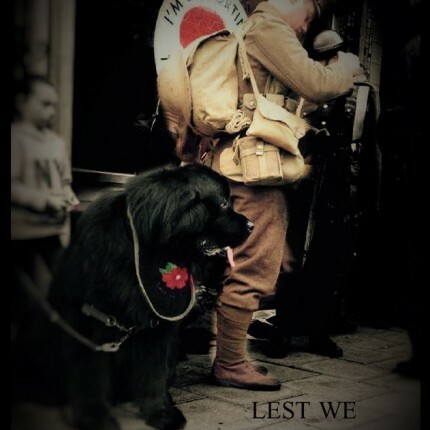 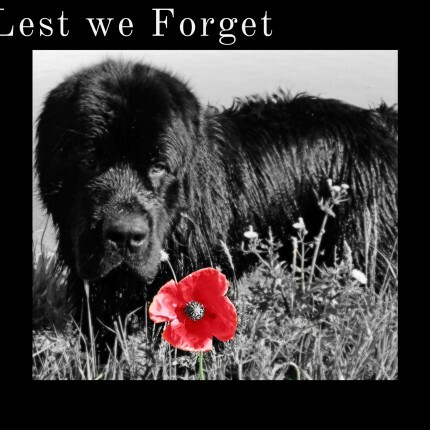 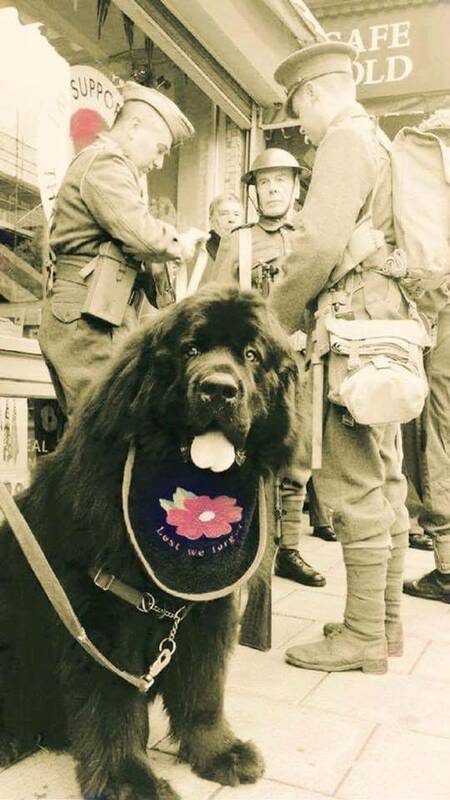 Bear was on Parade wearing his Poppy Bib with pride, he was an absolute star getting up close and personal with some of the veterans during the photo shoot. 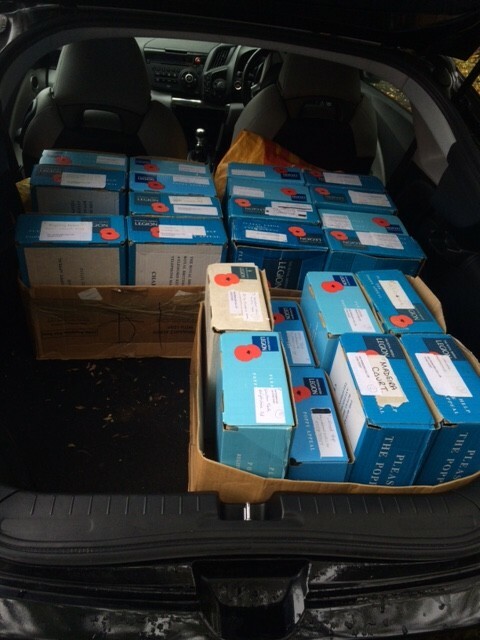 We collected on two consecutive Sundays. 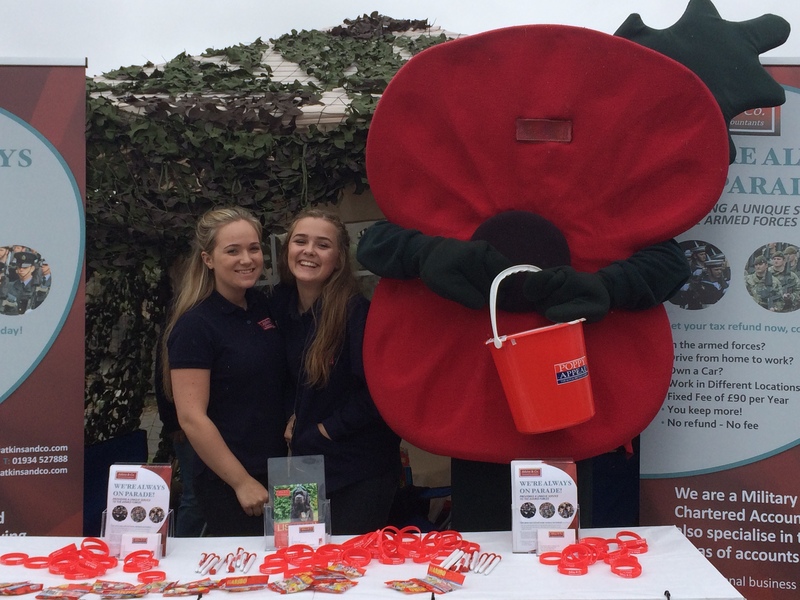 It was a pleasure to be able to offer our time to support a great charity which provides financial, social and emotional support to members and veterans of the British Armed Forces, their families and dependants. 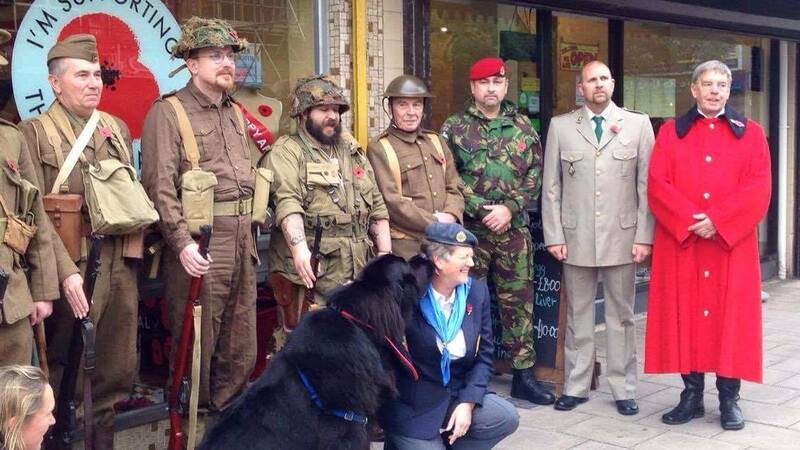 We very much look forward to working with Lyn and her team again next year. 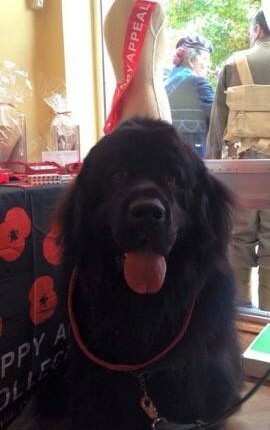 I love Bear, he was so gentle ( it was me he was washing in the photo!) 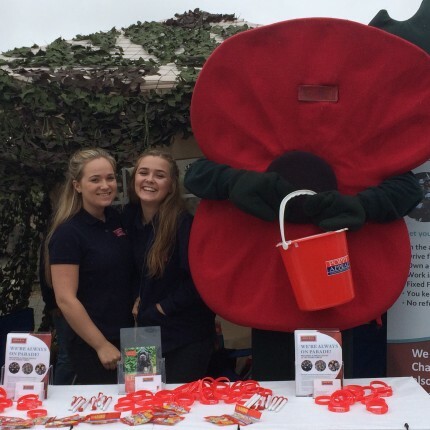 working with him on the Poppy Appeal was such a pleasure. 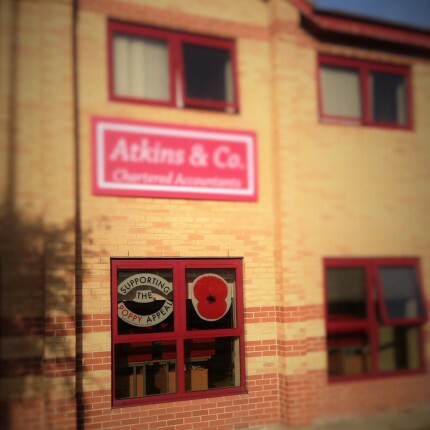 Thank you Atkins & Co for your support.